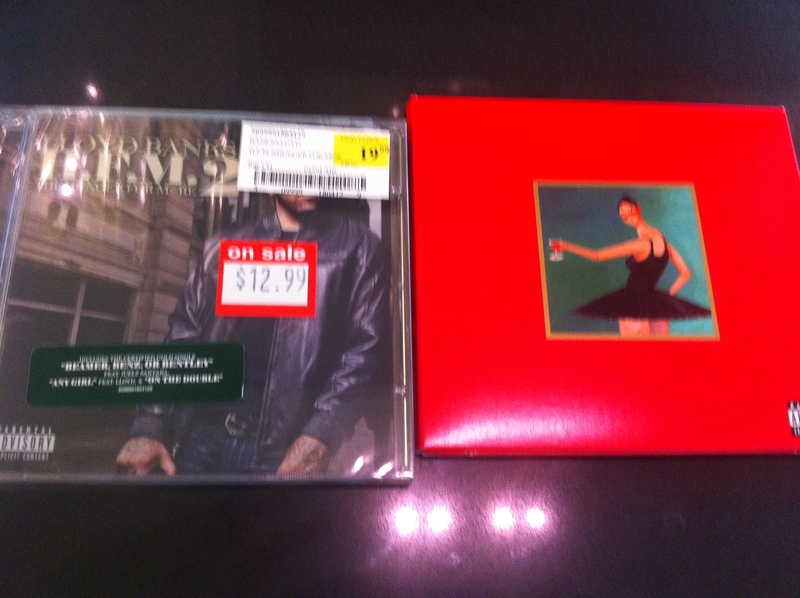 Kanye West’s My Beautiful Dark Twisted Fantasy has been out for a week now. Longer if you scooped up the leak. If you’ve paid any attention to the mass critical acclaim, you know the album is being heralded as a classic. Perfect rating from Roll ing Stone. Perfect rating from XXL. Praise is raining down. So I held off on a review. Waiting to pick it up retail style, I was behind most, and with everyone deconstructing the disc so beautifully, I figured my commentary would be rendered either redundant, pointless, or both. 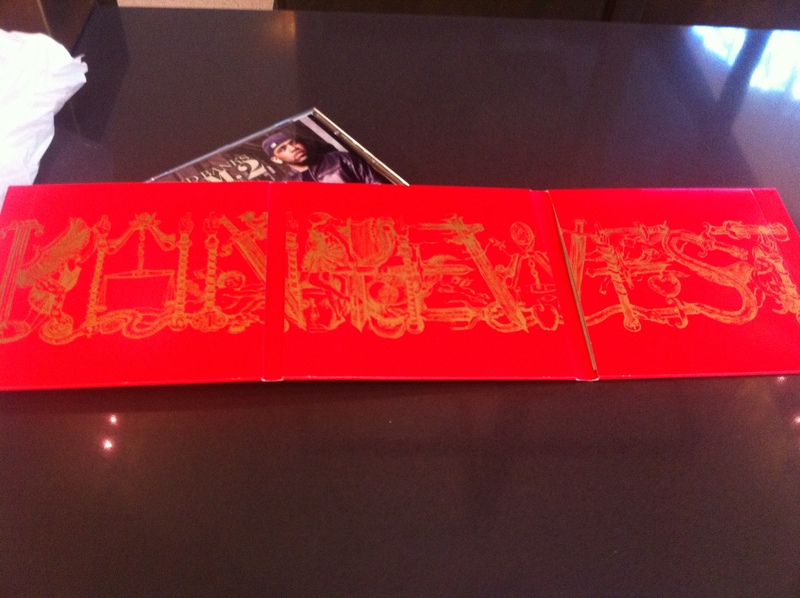 Same length as Graduation (13 tracks), but two non-songs on MBDTF. This would normally be a bad thing (Late Registration had 4 skits, that, while funny, don’t add much), but the “All Of The Lights Interlude” and “Who Will Survive In America?” are every bit as wonderful as the actual songs. Speaking of that Interlude, I’m convinced it’s Michael Jackson funeral music. It’s sad, soft, and above all else, a stunning piece of instrumentation. The loud, celebratory sounding song itself is offset by this equally dramatic lead in. I’m convinced it’s Michael Jack funeral music for two reasons. 1)Kanye references his death in the third line of “AotL,” and 2) there’s a big float of his head in the Runaway movie while this song plays. It shouldn’t be underestimated or undervalued how the film compliments the album. Even if it’s as small as the point above, Runaway gives us a reference and context for a good portion of the album. For instance, it may not have been a Murcielago, but listening to “Dark Fantasy” with the top down feels so right. What a different opening statement “Dark Fantasy” makes than “Good Morning.” (His first two albums open with skits, and 808s and Heartbreak is difficult to fit into the context of his musical career. It’s like the Jordan baseball years, but with more success.) One’s dreamy, low-key, the other rings choir chants reminiscent of heavenly gates. It’s interesting to think about how we would have received this album had Kanye not released any single or started GOOD Fridays. I would venture to say he doesn’t care much for appeasing radio with a single, and is primarily forced to do so to generate buzz. “Power” certainly did that. As for GOOD Fridays, we didn’t know “Monster” “So Appalled” and “Devil In a New Dress” were album material when he gave them to us. Upon seeing that they were, it was almost like finding your Christmas presents in the attic on Dec. 11th. Or getting a kiss at the bar and going home alone. It’s awesome when it happens, but we didn’t think it was going to be part of the main show. That said, I think “Monster” and “Power” are two of the strongest songs on the album, and we’d all be talking about them a lot more had we not had them for month(s) prior. However, the GOOD Fridays, as well as this album, set a new precedent in Hip-hop. Who else was giving away free music every week? Now Swizz Beatz, Timbaland, and Slim Thug are following suit. As for the album, Ye continues to push the envelope of what Hip-hop can be. He’s a trend setter for real. Back to “All of the Lights” for a second. At first was confused by all the features. Now I love them. Cudi’s little transitional bridge, Alicia Keys’ belting out opposite Elton John, even Fergie’s small part annoys me less than it used to. Still think those bars would have been more valuable in someone elses hands. The two lengthiest songs, “Runaway” and “Blame Game,” don’t feel long at all. “Runaway” is bare and raw enough to be engrossing the full 9 minutes. “Blame Game” is just three pieces fitting together seamlessly over top eloquent Kanye keys. John Legend’s lead in + Kanye verses + a Chris Rock’s hilarious outro monologue = nearly 8 minutes of perfection. The last album I had that Chris Rock was on was Lil Jon’s Crunk Juice. MBDTF is better, but Chris Rock is still hilarious. Whenever I listen to “Who Will Survive in America?” I can’t help but think about Kanye’s retreat last fall. (third graph) “”I left America. I stopped doing music altogether. I just took some time,” West said. “I went to Japan just so I could get away from paparazzi altogether. Then in November I moved to Rome and just lived there.” Who will survive in America? Kanye couldn’t survive in America, and it’s very likely this is the exact thought he’s hoping to elicit by including that at the end of the disc. Yet there are parts of America that need Kanye to survive. I find that there are two attitudes toward Kanye, and they have a lot to do with age. There is the person who only see’s the ego, only see’s the antics, and dismisses the music, the artistry of Kanye West. Then, there is the person who see’s that the music and the artistry are far more valuable, far more influential, and dismisses the ego and the antics. I’m not justifying behavior that he himself has recognized as wrong, I’m just saying, put My Beautiful Dark Twisted Fantasy in and try to suppress your emotions. Try not to laugh at Chris Rock, try not to get chills when the drums kick in on “Lost In the World,” try not to get caught up in the epicness of “All of the Lights” or the vulnerability of “Runaway.” These are human reactions that can not, and should not be suppressed. Hate him or love him, but Kanye created art from his own personal experiences, his own emotions that is then able to speak to the same feelings inside of his listeners. He does this with words, with images, with instrumentation. He is a great artist, and has every right to be as arrogant as he is. It may not be the most attractive character trait, but if your back was against the proverbial wall, and you had to create a masterpiece in order to comeback, then you not only did, but knew you were going to do it all along. That’s a virtuoso. Kanye is rap’s first virtuoso. Nice article. I like how you went about it with the observation list instead of a play-by-play review. I wasn’t going to listen to this, just cuz it’s not my usual genre of music, but the hype surrounding it had me intrigued. Then I read your article, and I had to listen. I’m finishing up “All of the Lights” as I write this, and I’m blown away so far. It reads like a good book — I was tempted to skip around some of the tracks, but I can’t. Thanks for the review!